Frontline supervisors (FLS) play a critical role in bringing together all of the pieces of service delivery. They fulfill a difficult and critical role. 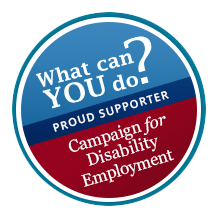 Frontline supervisors have a tremendous impact on the lives of Iowans with disabilities and the direct support professionals who work with them. Please join IACP in recognizing this important group of employees. Nominate a FLS today! Award nominations are being accepted through 5 PM on March 1, 2019. Nominees must be employed by an IACP member organization and have job duties including supervising direct support professionals. Nominations are made by completing this form. Awards will be given at the April 18 luncheon at the IACP Annual Conference and Trade Show. Celebrants not registered for the 2019 Annual Conference will be able to attend the luncheon by purchasing a stand-alone lunch ticket. Up to 6 awards will be given. 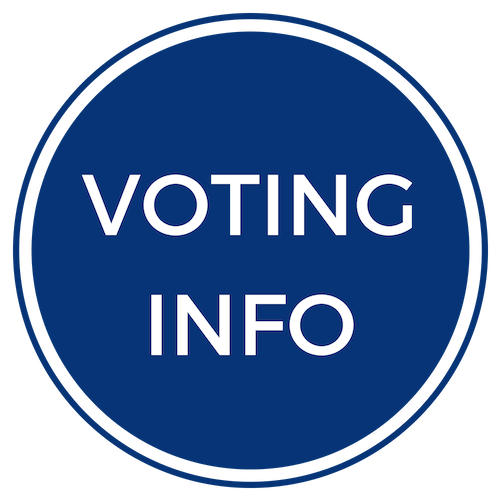 If you would like to reference the nomination questions prior to submission, please view this document. Remember, all submissions need to be made through this online survey form. Please, direct questions regarding the FLS Awards to Ben Woodworth. Congratulations to the 2018 Frontline Supervisor Award Winners! The competition was tough! 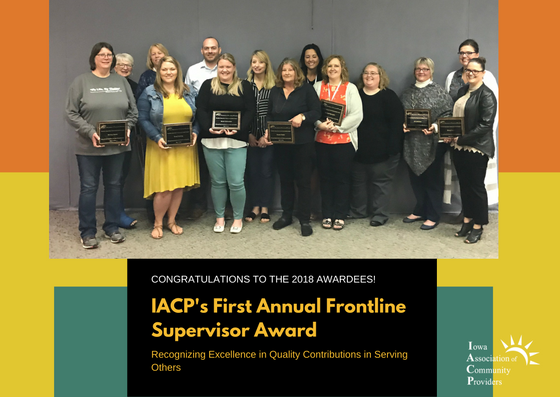 There were 69 nominations for IACP's First Annual Frontline Supervisor awards. Jill Johnson of TASC, Inc.
Mindy Burr of Easter Seals, Inc.
Terry Fehring of The Penn Center, Inc.